American Eagle Fireplace & Playsets offers premium quality swingsets that will transform your backyard into a great adventure. 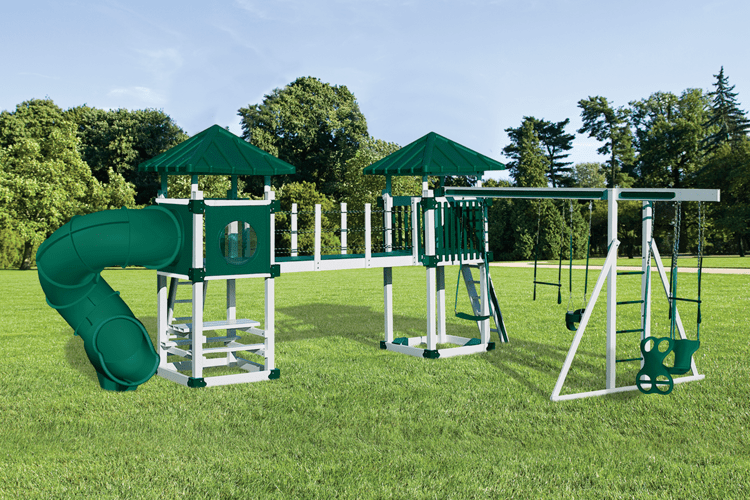 Modular swingsets with swings, slides, picnic tables, rock wall, trapeze bars, sundecks, crawl tubes and more! FREE In-Home estimates available. We feature outdoor vinyl swingsets for every size backyard, budget and family. Come visit our Outdoor Play Center - 20 Swingsets on Display (ready for the kids to play on)! We do NOT charge for delivery and installation of our outdoor swingsets. Our swingsets are available for Residential and Commercial use. 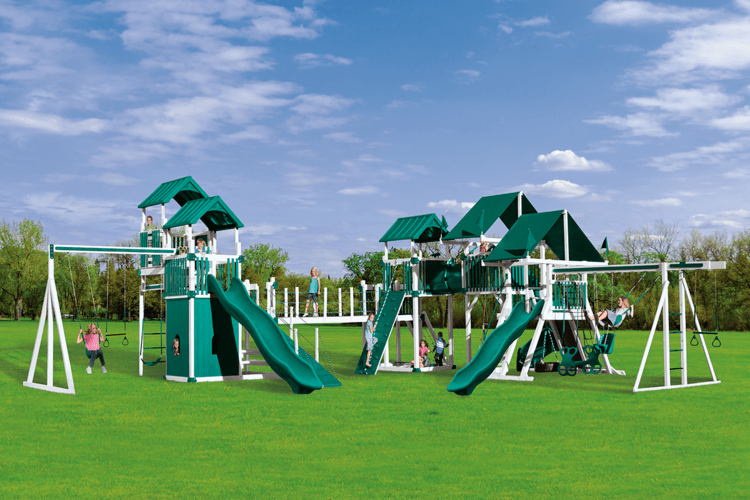 "Tom and the staff at American Eagle Fireplace & Playsets were excellent in every manner. From recommending the perfect swingset for my backyard to coming out numerous times to measure to supervising installation even though they didn’t have to. I love the swingset, but more importantly, my children love it!!! Thank you, Tom!!!" - Stephanie T.